The Instant Pot has taken the family kitchen by storm. The convenience this multi-function pressure cooker offers cooks has made it the must-have food gadget of the past few years. However, like many kitchen tools, the Instant Pot takes up valuable counter space and many users wonder how to conveniently store it. Die-hard Instant Pot fans have come to the rescue by finding the perfect storage solution. And believe it or not, it’s relatively simple, easy to find and inexpensive! In fact, this round utility cart from Target almost seems like it’s designed for the versatile Instant Pot! The “Made by Design” Round Metal Utility Cart sits on four casters that rotate 360 degrees. It may look compact, but that’s what Instant Pot lovers adore about this storage unit. It’s easy to construct, light, portable and allows easy access to the pressure cooker and all the amazing accessories you can buy to go with it. How much do fans love this cart? It almost has a cult following on Facebook. 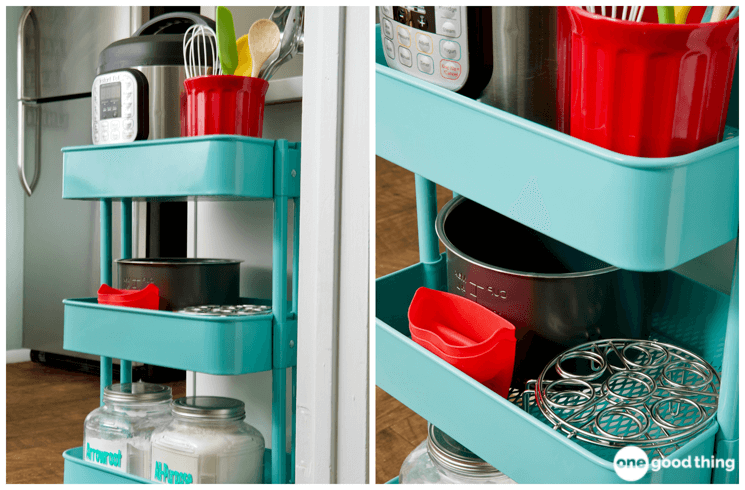 Everyone wants to show off how they’re using the cart — or other variations of storage — for their beloved cooker. Still, some Instant Pot lovers found they needed more storage room for their gadget — and for all of the accessories that go with it. Eager for something that was just as portable and inexpensive as the Target cart, these intrepid Instant Pot users found organizational gold. One Good Thing By Jillee, for example, managed to find a slightly larger, rectangular cart over at IKEA. 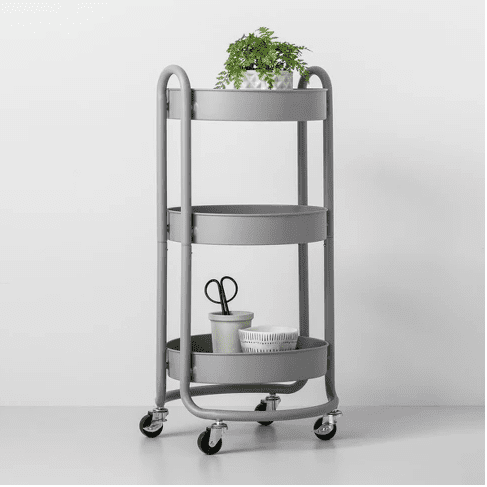 The RASKOG utility cart is similar in height to the Target shelf, but its rectangular shelves are deeper and wider. Plus, the unit’s $29.99 cost matches perfectly to its competition. It comes in a variety of colors, too, so you can easily match your decor. So pretty! How do you store your Instant Pot?